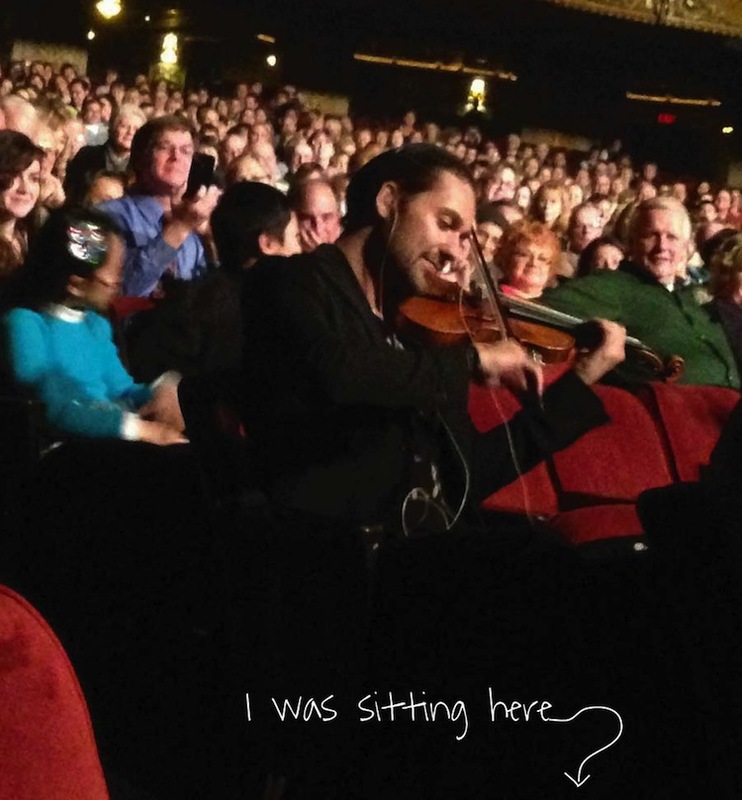 Last Friday my father, daughter, and I went to the David Garrett concert (no one else in the family could be suckered into going to a violin concert) and OH.MY.GOSH. was it ever wonderful! I get it– most people imagine a violin concert to be a real snoozefest, but DG is a crossover artist and does contemporary music, too. We heard everything from Tchaikovsky to AC/DC. My favorite Garrett arrangement, The Fifth, was not on his set list for the night but…..
And lord help the sister, who comes between me and my man! Here’s a video I took at the concert using my phone… the picture quality is not the best (to put it politely) but you’ll get a good idea of how it sounded. Through the whole show. Although I have to admit that by the end of the thing I was screaming a bit, too. If you can’t beat ’em join ’em, right?